For over a decade now the Republicans have suggested that if individuals and businesses were allowed to purchase health insurance across state lines, it would significantly lower the cost of coverage in this country. Like most statements that come from opposing parties in Washington, there are both truths and misconceptions regarding this topic. It all depends on how you look at it and who you are. Recently, President Trump indicated he may sign an executive order along the lines of a proposal presented by Senator Rand Paul that would make it easier for some individuals and employers to purchase coverage across state lines. This news sparked a reaction from both sides of the political isle, along with a significant amount of confusion and lack of understanding on what this proposal would really do if adopted. I would like to try and clear up this confusion. First of all, it’s not really “insurance”. Health insurance is when an individual or group pays a set premium to an insurance company and, in return, the insurance company takes the risk for the amount of claims they may ultimately have to pay out for that individual or group. The discussion around Senator Paul’s proposal is all about self-funded groups. When an employer is self-funded, they pay a company to administer health care benefits for their employees, then the employer takes risk for the payment of claims – not the insurance company. Under ERISA laws, self-funded employers are allowed to administer benefit packages across state lines without falling under individual state requirements or minimum benefit requirements. Senator Paul’s proposal is to change the ERISA legislation to allow small groups and possibly individuals to belong to an “association” that would pool their numbers and then be allowed to act like a large self-funded employer group. This would mean these pooled individuals or groups would not actually have “insurance”, but would instead belong to an aggregated risk pool that would itself be self-funded and carry its own claim risk. If the President signs an executive order like the one being proposed, it could lower the cost of coverage for some groups or individuals that roll up into part of an association. So, from that perspective it could make “coverage” less expensive for some individuals or groups. If the new association or group is healthier than average, they’ll have lower costs. If the association decides to reduce benefits, they could also control their “premiums” and thus reduce expenses. This is exactly why large employer groups tend to be self-funded. They know they’re going to pay less for health care coverage either because their employees are generally healthy and/or they can offer a lower level of benefits than what is required under either the Affordable Care Act or state mandates. If individuals or small groups are allowed to form or join associations, they could benefit from the same type of environment that many large employers enjoy. So what’s not to love? Well, like everything else, the devil is in the details. Has anyone come up with a plan to pull together individuals or small employers in order to make self-funding work? What happens if an individual or group decides to leave the association without paying for their portion of the self-funded claims? The bigger concern is what this new option does to the risk pool and how it affects the cost for those who don’t – or can’t – join one of these associations. Both the risk profile and the cost for health insurance in the exchanges are currently higher than expected because large, self-funded employers have already covered most of the “good risk.” This leaves the exchanges with what payers call “adverse selection” or bad risk. If more of the healthy population is pulled out of the exchanges through this proposed change in the ERISA self-funding requirements, it will only make the situation worse. 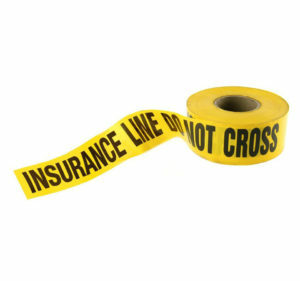 The bottom line is this: Selling “insurance” across state lines is not a magic bullet. It could benefit some, but at a cost to others. This approach may fit nicely into a sound bite on the Sunday news shows, but it does nothing to address the fundamental issue that we can produce more care in this country than we can afford to pay for everyone to receive. It’s like me trying to solve the problem of my pants getting snug by buying bigger pants, rather than by diet and exercise. PBM’s: What Are They and Why Are They Here?